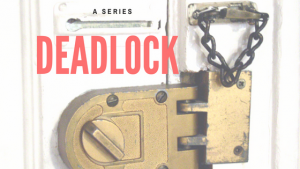 Nonetheless, true deadlock brings the limited liability company or partnership to the same place as the deadlocked closely held corporation: dissolution, sale of the interests of some of the members or partners, or the sale of the business itself. Deadlock among the members of a limited liability company or among the partners in a partnership is typically a failure of purpose, not mere disagreement on a particular issue. The LLC may encounter a numerical deadlock as with a corporation, for example when the owners are evenly divided over some issue. But the contractual nature of an LLC also introduces the issue of the minority veto. The reason for this is that in most states there are some issues on which unanimity is typically required. These include the admission of new members, adoption or amendment of an operating agreement (though not in New York) or mergers and other transactions outside the ordinary course of business. Many of these same decisions outside the ordinary course of business when made by a corporation require only a simple majority vote. They are, however, coupled with a right of dissent, that is the right to object to an action and be bought out of an interest. Very few states have incorporated a right of dissent into their limited liability company statutes. Notable exceptions include New York, California, Florida and Minnesota. In most states, unless the operating agreement incorporates a right of dissent, the remedy is not available to a minority LLC member. The statutory law of corporations presumes that the shareholders will not participate in management. Closely held corporations in which ownership and management are combined is an exception and some states have provided specific statutory provisions that may be elected by the owners of the corporation that align applicable statutory provisions with the realities of operating a closely held business. Shareholders are fungible. In a partnership or limited liability company, the presumption is the opposite: that the owners will be closely involved with each other and the business, often drawing their livelihood from its distributions. This is sometimes referred to as the “pick your partner” principle, meaning that no one should be forced to be in business with another individual against their wishes. Unlike with a corporation, all shareholders are not presumed to be equal. Limited liability companies and partnerships have unanimity requirements that typically are not found in corporate law. One cannot change a contract without the consent of all parties to the contract. Partnerships and LLCs are creatures of contract law and generally reflect the contractarian nature of the statutory law. The unanimity requirement typical of limited liability companies and partnerships creates the potential for a “minority veto” that can deadlock the business. Under the RULLCA, for example, the default rule is that in a member-managed LLC, each of the members has an equal vote, although operating agreements commonly vote proportionately based on ownership of interests. Matters that arise in the ordinary course of business are resolved by a majority vote of the members. RULLCA § 407(b)(1)-(3). The approval of all members, however, is required to “undertake an act outside the ordinary course of the activities and affairs of the company” or to amend the operating agreement. RULLCA § 407(b)(4) and (c)(3). Some states expressly require unanimous approval of a merger or sales of substantially all of the LLC’s assets. For example, see N.J.S.A. § 42:2C-37(c). Other states, including Delaware and New York, largely leave such issues to a majority vote, except for the admission of new members or amendment of the operating agreement. Del. Limited Liab. Co. Act §§ 18-302, 18-402. New York is a notable exception in that any decision of the members may be taken by majority vote. New York is also, however, one of the few states that allows minority members to dissent from a merger and have their interests purchased by the company. In the management of a limited liability company or partnership, all of the members save one may agree on some action outside the ordinary course of business, and the minority dissenting vote is sufficient to prevent action. This is the classic minority veto. The circumstances in which the minority veto may arise are many in those states that require unanimous votes for actions outside the ordinary course of business. They might include the addition of a new member believed to be critical to the success of the business, a merger with a rival, a financing or purchase of real property. In such a case, the minority can thwart the will of the majority and there is nothing the majority can do, unless the operating agreement has applicable provisions, other than to see the intervention of a court. Courts examine deadlock involving a limited liability company or partnership through the lens of the operating agreement or partnership agreement. The fundamental question in many circumstances is whether the the LLC or partnership can pursue its essential purpose. The right to participate in the management of a limited liability company cannot be transferred or modified without the consent of all of the other members or partners. While the same results are often presently in the closely held corporation through shareholder agreements, they are inherent in the structure of partnerships and limited liability companies. These default rules mean that unless the members incorporate provisions into the operating agreement that addresses the failure to reach majority or unanimous decisions, the dispute is likely to move to litigation. In our next installment of this series, we will examine how courts address member deadlock in limited liability companies and partnerships.